We recently attended a family party and were in charge of bringing a dessert. 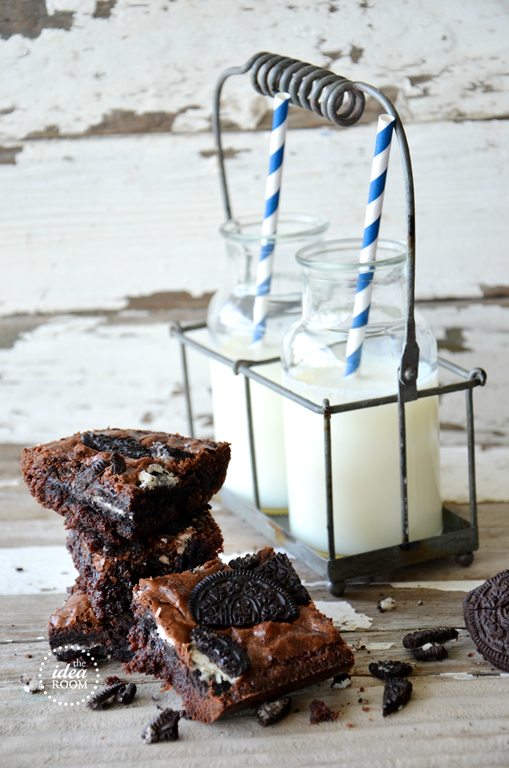 So of course we opted for a classic Brownie but spruced it up with some crushed Oreos. 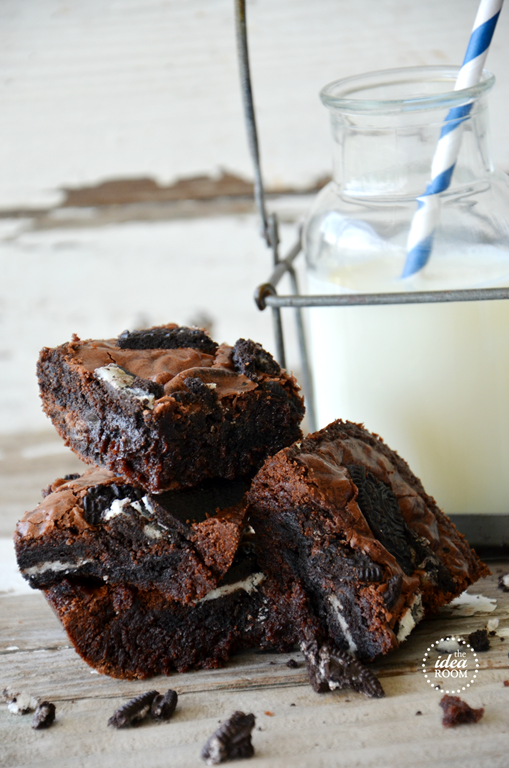 Brownies are probably one of my very favorite desserts. I love how dense, rich and chocolately they are. 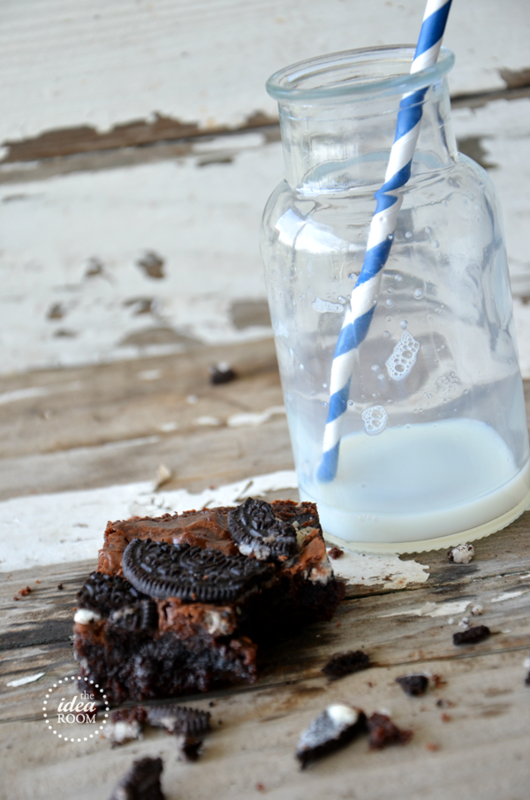 Combine that with some Oreos to make Oreo Brownies and you are bound to have a crowd pleaser. Now these obviously are not low fat or low in calories or sugar…which is why they are a once in a while treat. But if you are going to have a treat you might as well make it one that is worth it. 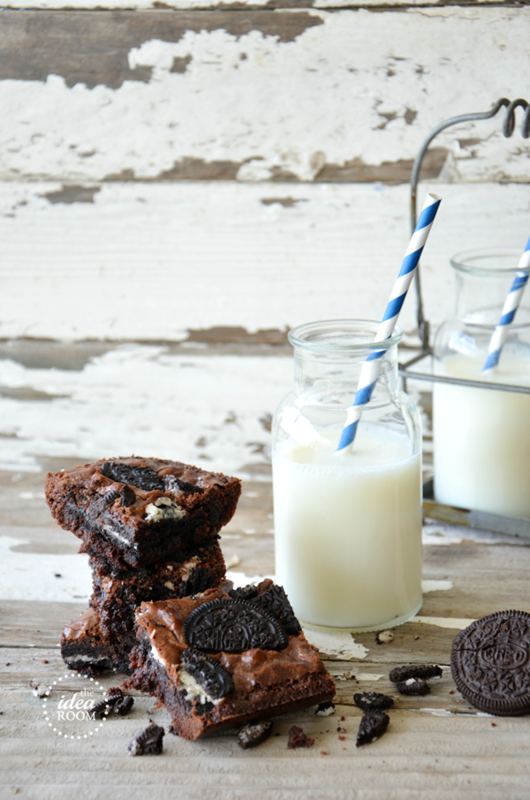 These are so rich and chocolately, you will definitely need a cold glass of milk to wash them down with. Crush about 15-20 Oreo’s then stir 3/4 of them into the mix. 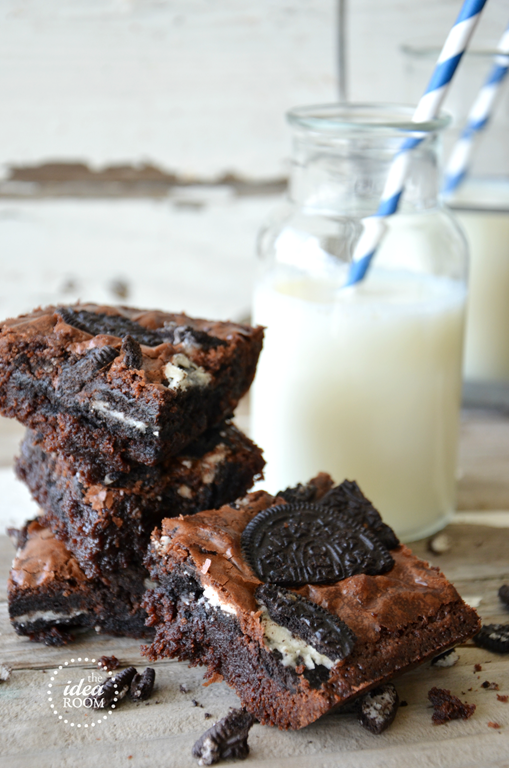 Sprinkle the remaining broken Oreo’s over the top of the brownies. These are so yummy. 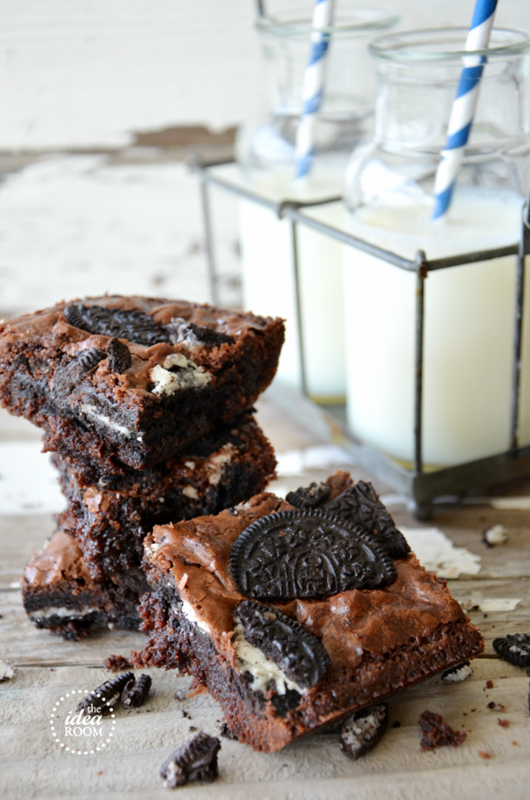 Oreo Brownies are sure to be one of your go to recipes when you have a party or a get together with family and friends. With summer and BBQ season on the horizon, these are sure to be something you will want to include in your food and festivities. Wow – those look so good Amy!! Thanks for sharing them!! My mouth is drooling! These look AMAZING!! Pinning! I need to make those right now, they look so good!! Thanks for sharing your delicious creations! I do this all the time, but with the boxed mix. You took it another step further which is fabulous! Do you just add the oreos to the regular brownie mix? No extra oil, etc? Yes! No need to add anything additional! Oh my goodness, I will need to make these, my kids will love them! 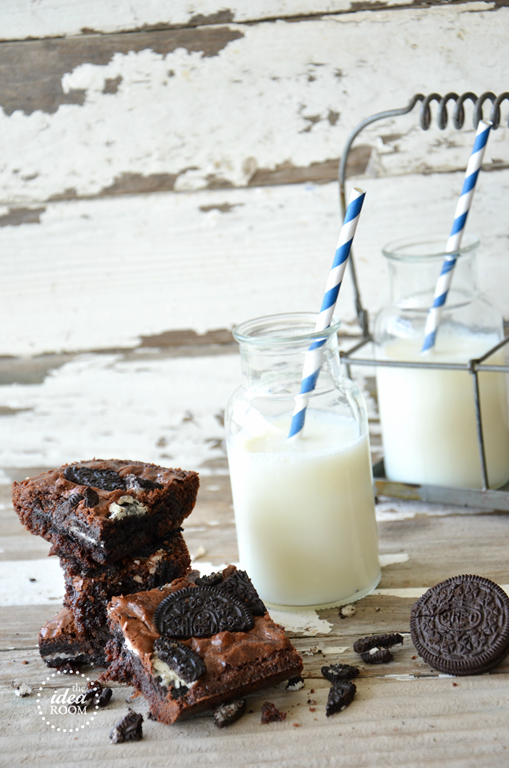 Oreos and brownies…two of my favorites in one awesome treat!!! I look forward to trying this. Thanks for the inspiration! Making these for a crowd of 100 on Friday. I think the 45 little girls will LOVE THEM! These look delicious! I can’t wait to try them with the kids this summer! Super delicious!! 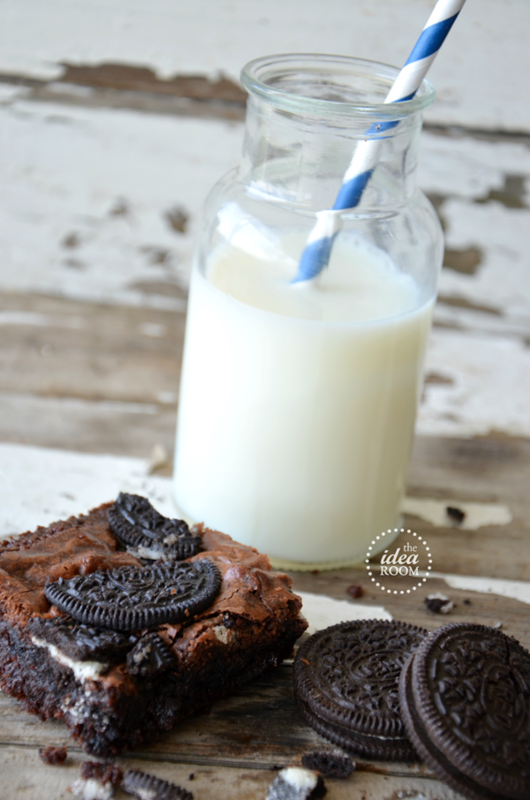 I wish I had some oreos in the house so I could make these right now. Thanks for the recipe!! 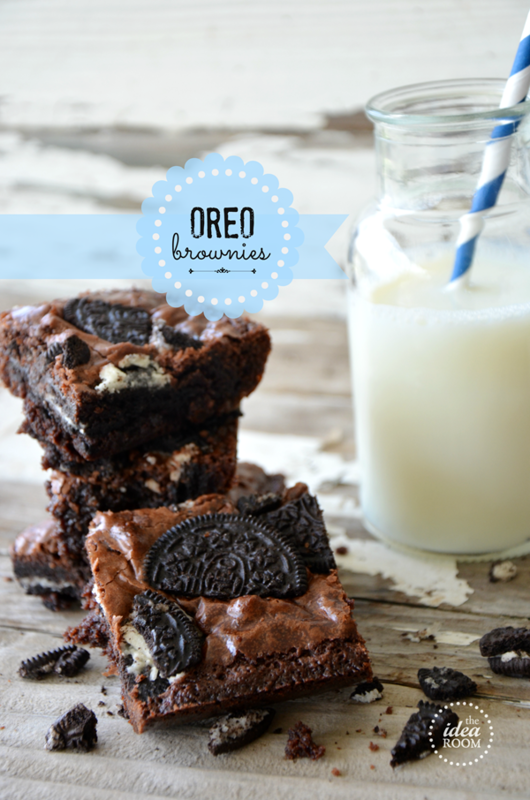 I wonder if you could also make Blondies with the Vanilla Creme Oreos. Yum! 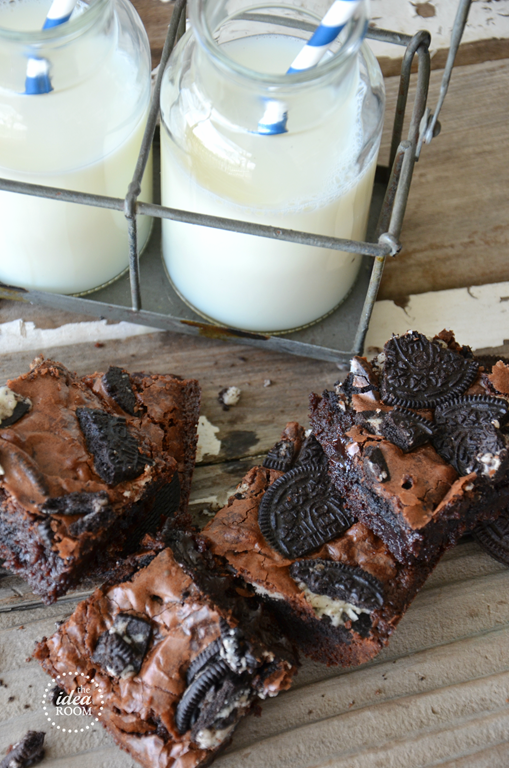 Hi, I’m just wondering if I can make this brownie with butter instead of vegetable oil or not? Thank you :) it looks really good! This is from scratch, right? Also, what pan should I use if I’m not doubling it? 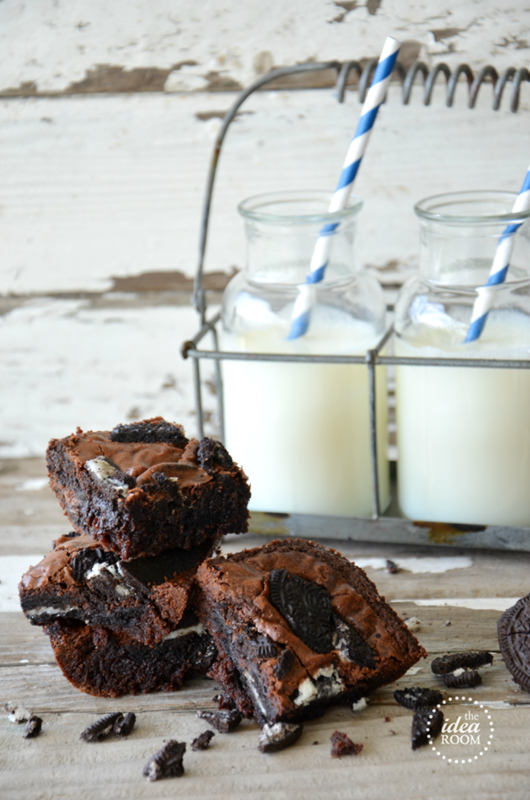 Yes…from scratch…but you can always just use a brownie mix too to make it a bit easier if needed. Just add the Oreos. You can use an 8×8 pan for a smaller batch and it should work fine. May need to adjust your baking time. Test with a toothpick in the middle to see if it is ready to come out. It should come out clean. OH YUM!!!!!! Where did you get the cute milk containers? The milk bottle is actually a recycles Starbuck Frapucinno Bottle. Baking now! I used candy cane choc sandwich cookies & planning on topping with some homemade peppermint bark when they come out of the oven. I am so looking forward to these!! These Brownies look SCRUMPTIOUS! And I just LOVE that your recipe doesn’t include a box mix. THANKS for Sharing! Thanks so much Brandyn! They are really good! One of my favorite brownie recipes! I made the brownies and they are DELICIOUS! The best ones I ever made or tasted!!! Came out gorgeous. Thanks for posting! Looks so great with so easy steps and ingredients! You are welcome! I hope you love them!